Clarissa thought she knew who she was, she thought she’d come to terms with her mother’s abandonment years ago and she thought she was close to her father. But following his death, she finds her birth certificate with another man named as her father. Then it turns out her fiancé, whom she’s known since childhood, knew about this all along, prompting Clarissa to flee to Lapland in search of the Sami priest she believes is her real father. Her quest takes her through the artic landscape where she meets people who once knew her mother, including the Sami priest. Still no closer to the truth, she eventually meets her mother in the far north wilderness, though this is not a happy reunion. The woman who named her Clarissa, after Samuel Richardson’s heroine “with the hope that you’d rewrite history” is intent on evading questions about her own past. I won’t spoil the ending but suffice to say, Clarissa is just as deft as her mother in refusing to be a victim of her history. The story unfolds at quite a pace, full of innovative descriptions, with a very contemporary voice. I’ve not read Richardson’s Clarissa (the longest novel in English!) but what I’ve gleaned from plot summaries reminds me of Henry James’s The Portrait of Lady – Isabel Archer is determined to choose her a life compatible with her own ideals, resisting traditional expectations. The unforeseen consequences of Isabel’s choice, her inability to find a way out, bound by her very own ideals, is so tragic. It’s one of those books I often return to, hoping to trace where she went wrong, secretly wishing it would turn out differently! 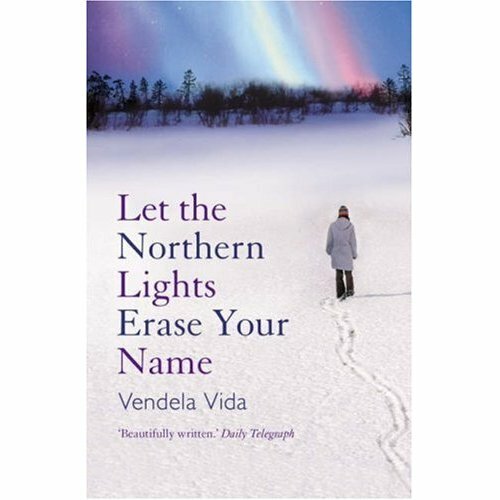 Thankfully Vida’s Let the Northern Lights has a far more optimistic ending. On the last page Vida acknowledges Galen Strawson’s essay “Against Narrative” as an inspiration for this novel – she was “curious about the kind of person who would see their past as unconnected to their present.” It’s a thought provoking essay questioning the model of narrativity for the way the mind works – pointing out that some people favour form over narrative, seeing greater significance in episodes and abstract ideas rather than in cause and effect narrative. Let the Northern Lights certainly explores the idea of self-narrative – though I did wonder if didn’t owe as much to an earlier interview with Strawson (published in the Believer) which explores his thoughts about free will. Back from hibernation! My reading over the last few months certainly included books with wintry themes – but as often happens with reading plans, another pattern emerged – one of identity and voice. An essential part of my interest in this novel is the closely biographical aspect, as it mirrors Rhys’s experiences, before she became part of the bohemian Paris literary scene in the late 1920s. She had published a collection of stories and two novels before Voyage in the Dark was released in 1934, but it draws on her earliest writing. Anna Morgan grew up in Dominica and after the death of her father comes to England with her stepmother, who soon withdraws financial support, forcing Anna to make her own way. The social realities for a young woman with few family or monetary resources in pre-war 1914 England, are depicted with unflinching honesty. Ever present are Anna’s recollections of Dominica introducing strange ways of seeing and articulating, counterpointed with her observations of the wet, grey English streets. Anna initially works as a chorus girl but the constant moving and damp climate result in recurrent illness. Then she meets Walter, who sets her up in a hotel room in London and gives her money for clothes. As Anna becomes increasingly emotionally and financially dependent, it becomes clear that they have very different expectations of the relationship. Class and gender politics come to the fore as Walter inevitably breaks it off with Anna. She falls in with other women making their own way in London; a masseuse who maintains a veneer of propriety and caution, and a fun-loving girl who more clearly relies on the generosity of her many male “friends” to get by. The observations of the way women use clothes to bolster their esteem, and the link between hope for a better future and spending are still relevant. Anna has several short relationships, each more disappointing than the last, often prompted by being desperately short of money. As she descends into depression, a clarity of voice emerges which one hopes will see her through. When the novel concludes, Anna’s future is far from certain, her doctor’s reassurance that she’ll be “ready to start all over again in no time, I’ve no doubt” reverberates in her mind as “starting all over again, all over again”. 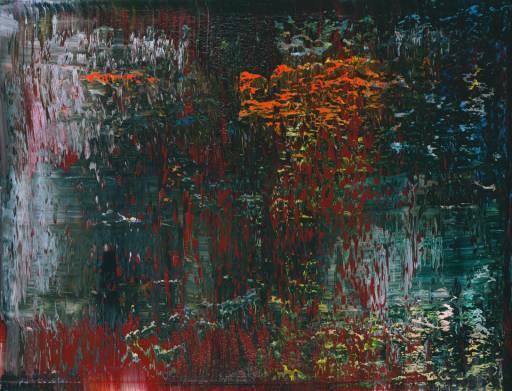 This is what Rhys does so well – the singular perspective, entailing all the messiness of memory, acute observation and painful emotional interactions – emerging as a clear and distinct voice. Rhys’s moody style and lonely characters, especially in her short stories (my favourite is the collection Tigers are Better-Looking) prompted me to return to her work. Now I’m curious about the next phase of her life, fictionalised in Quartet, which charts her affair with Ford Maddox Ford. I only realised by reading the bio at the start of this book that A.M. Homes is the author of The Safety of Objects – which has been made into a film that I really enjoyed. The film brings together a cast of ordinary suburban characters, linked by their proximity and a tragic car accident. It’s a depiction of the way people surround themselves with objects and roles to fulfill, in order to cope with the tragedies large and small. I really appreciated the way each character’s motivations are laid bare but not criticised, as the characters are pretty good at doing that for themselves. It all sounds rather glum but ends with some transcendence for most of them, as they eventually find shelter in each other. So I was rather optimistic about This book will save your life. The cause of this shift, his experiences in the previous 24 hours, recounts the excruciating pain which culminates in being rushed to hospital, undergoing inconclusive tests and on his way home in the small hours, stopping at a doughnut shop where he makes an unlikely friend. So begins the journey, where people, both known and new, and even the landscape all require Richard Novak to engage and navigate his way through unexpected and ever-changing events. And he does so admirably, getting to know his employees, neighbours, family and of course himself better. At each turn Richard keeps facing up to challenges and attempts to come to terms with how he got to this point in his life. This book will save your life – it is funny, poignant and deftly illustrates E.M. Forster’s guiding principle “only connect”. Just don’t expect it to spell out how, that’s up to each of us. One of the things I enjoy when reading book blogs – aside from reviews about books (those I’ve read or more often books I’d like to read!) – is the links to articles, and quotes from books that can start you off on a whole new unforeseen journey. Her essay concludes with recollections of her own walks in New York, the different layers of time and events that converge on one particular street corner. When Naipaul meet him in the 1960’s Walcott was languishing in Trinidad, writing articles for the weekend paper and scripts for locally staged plays. He then goes on, in his usual entertaining style, to compare his early anonymity, writing at his kitchen table in Melbourne, with the opportunities (and ambitions) his writing students at Hunter College, New York have access to. And he concludes with admiration and encouragement. So to what extent does a writer’s sense of place inform their perspective? I’m off to Paris for the weekend, which epitomizes the delights of recognition, association and memory, that a city can inspire. Filed in Carey, Peter, Krauss, Nicola, Naipaul, V.S.